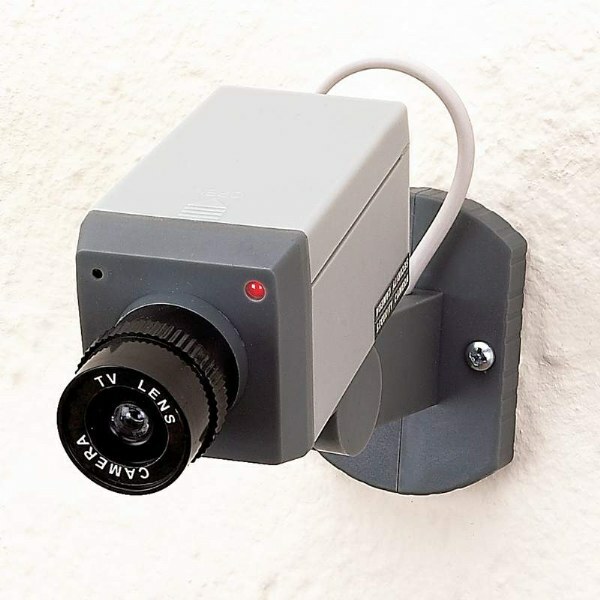 Non-Functioning Mock Security Camera looks and appears to work like a real camera. The built-in motion detector brings the activation light on and swivels the camera when motion is detected, giving the appearance of a real active camera. For indoor or outdoor use. If used outdoors, place in a safe area sheltered from extreme weather, heat or moisture. No wiring needed, it is battery operated. Requires 3 AA batteries. Horrible,horrible, horrible. Looks like a toy. Ddoes not rotate side to side. If there is a motion detector, it doesn&apos;t work. Very disappointed.